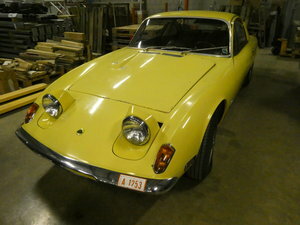 The Lotus has been dry stored in a dry climate and has just been re-commissioned including new radiator, rebuilt front and rear suspension including bushes, front and rear brakes, overhauled brake and clutch cylinders, slave cylinders, rebuilt carburettors, engine service and rectify minor electrical gremlins. Fitted new stainless steel silencer. £3500 spent on re-commissioning. 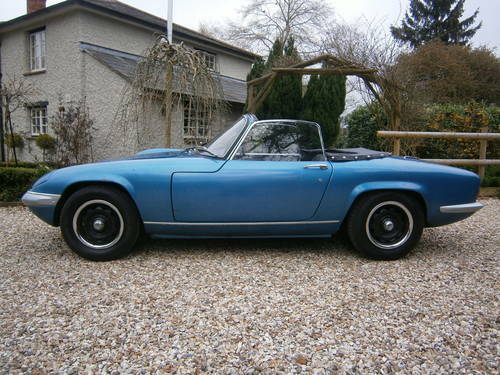 Older repaint in Lotus Lagoon Blue (original factory colour was Lotus BRG). 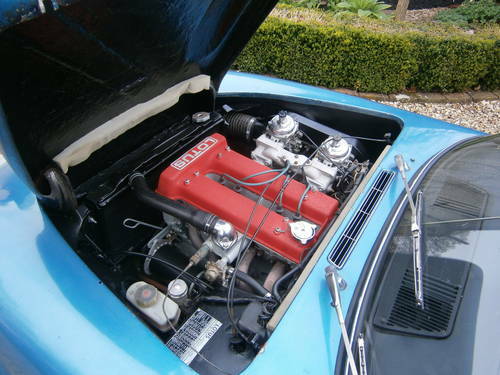 Has correct Chapman wheel and original factory engine. 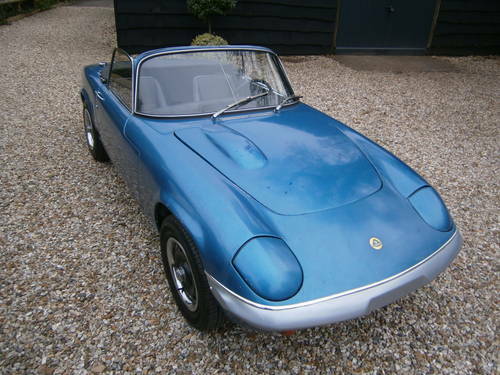 The Elan drives well and pulls strongly, now requires a little TLC and will make and excellent car. Mechanically very sound. 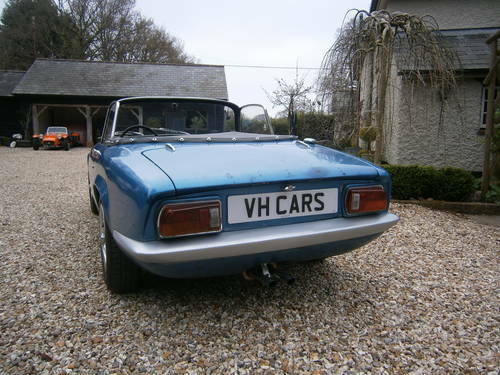 Excellent panel fit, bodywork and chassis. 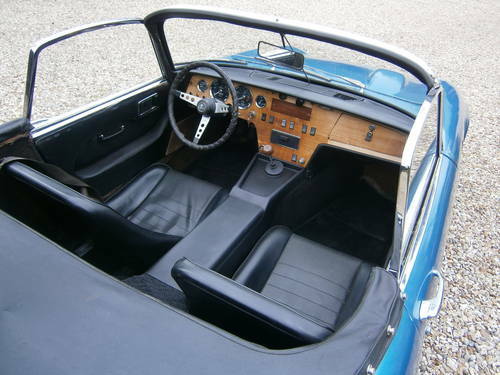 C/w new straight grain dash, new MOT and will come with UK V5, all duties and taxes have been paid. Please call for more info/viewing. 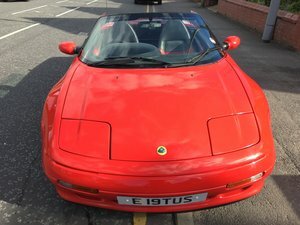 All Lotus Elise and Lotus required with low mileage and full service history. 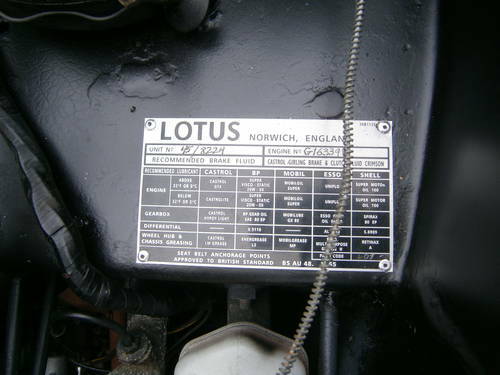 Also buying classic Lotus, everything from concours to a basket case, unfinished projects or parts.